Our cupboards are officially stocked after spending all day Sunday hunting and gathering. Hunting and gathering at Costco, of course. It does seem like quite the trek with a two-year old and newborn. Oh my. It took Grey and I five hours just to go to two stores. Between nursing breaks, diaper changes, getting everybody in and out of the car, and loading up all the food, it became our Sunday project. …it all needed to be put away…. I don’t know if anyone can relate, but this is my least favorite part about grocery shopping. I’m not really sure why. It’s probably the same reason unloading the dishwasher is my least favorite part of doing dishes. Anyways, we finally managed to get the food home, put away, and were able to make dinner. Thank goodness. We used fresh garlic from our winter garden in the cheesy filling which just topped everything off. This recipe generically says to use parmesan, but I insist you use parmigiano reggiano for this one, it’s the best! 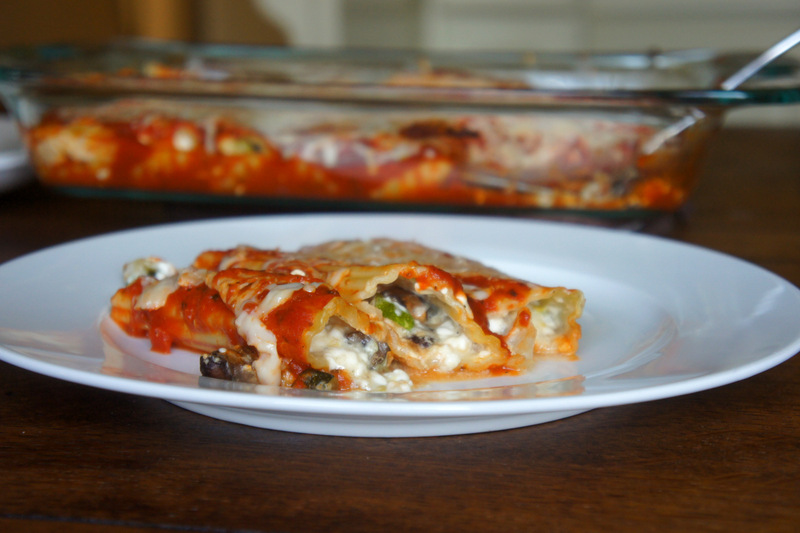 We prefer to use cottage cheese in our stuffed pastas and lasagna dishes, but if you prefer ricotta, just swap it out. 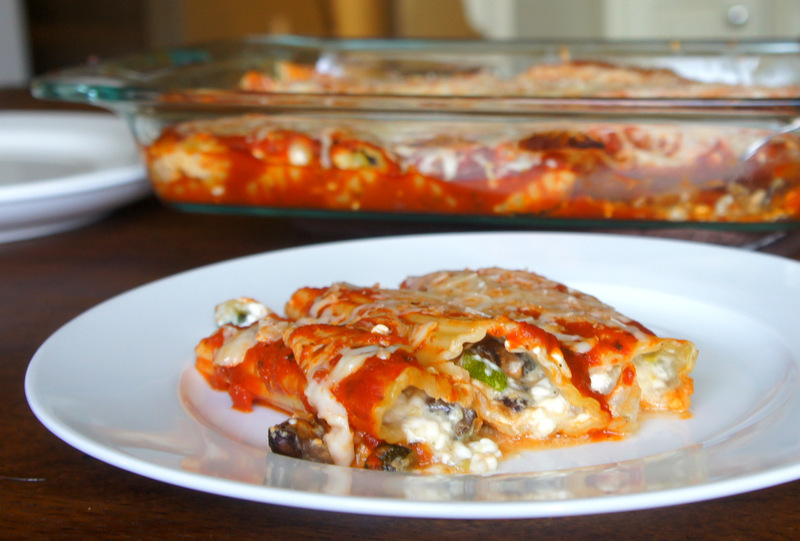 I hope you give this recipe a try, and let us know what you think! 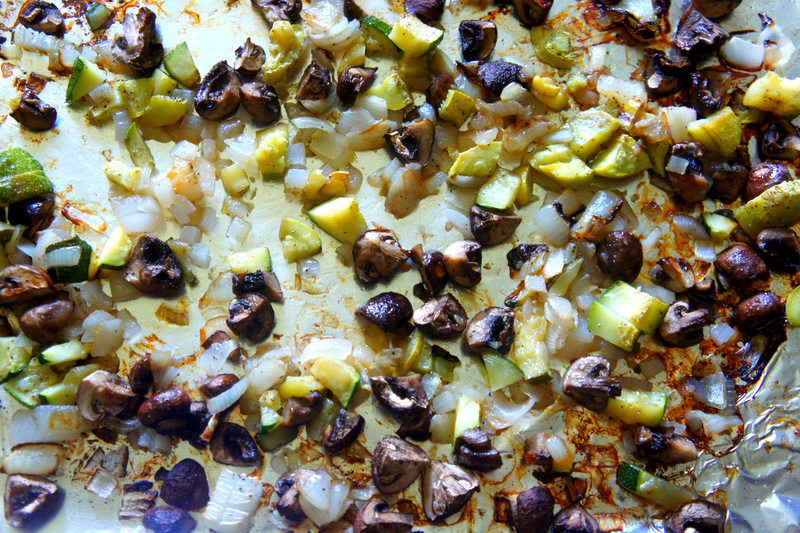 Combine mushrooms, eggplant, zucchini, olive oil, salt and pepper in a large bowl; toss to coat. Transfer to rimmed baking sheet and roast for 30 minutes, stirring halfway through cooking time, or until vegetables are softened and just starting to brown. Set aside. While shells are boiling, in another large bowl, stir together cottage cheese, egg, garlic,salt and pepper. 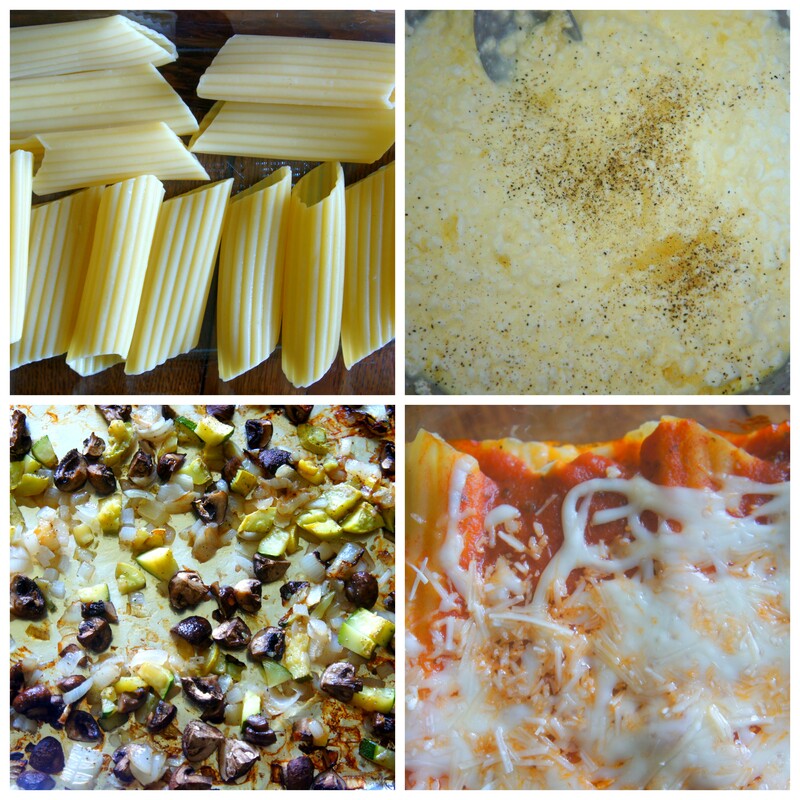 Fold in roasted vegetables, 1/4 cup parmesan cheese, and ½ cup mozzarella cheese. Spread 1 cup of marinara sauce on the bottom of a 9 x 13 casserole dish. 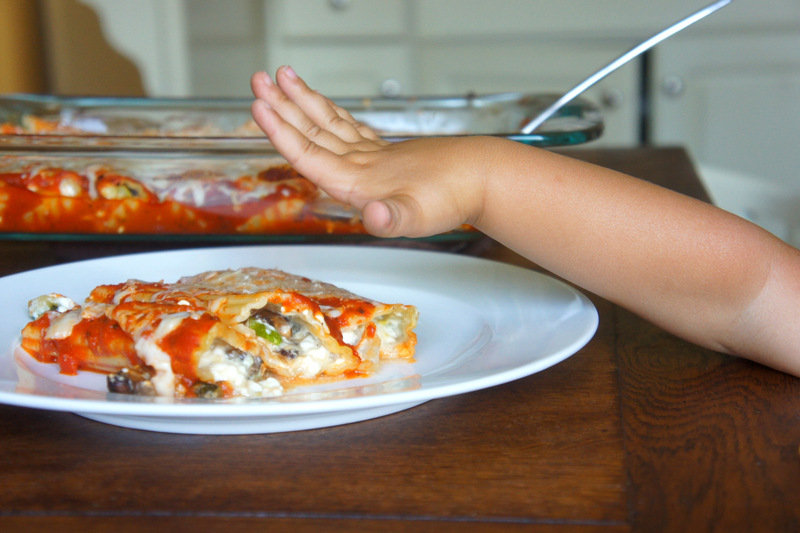 Using a small spoon, carefully fill each manicotti shell with cheese and vegetable mixture. Place finished manicotti in baking dish. 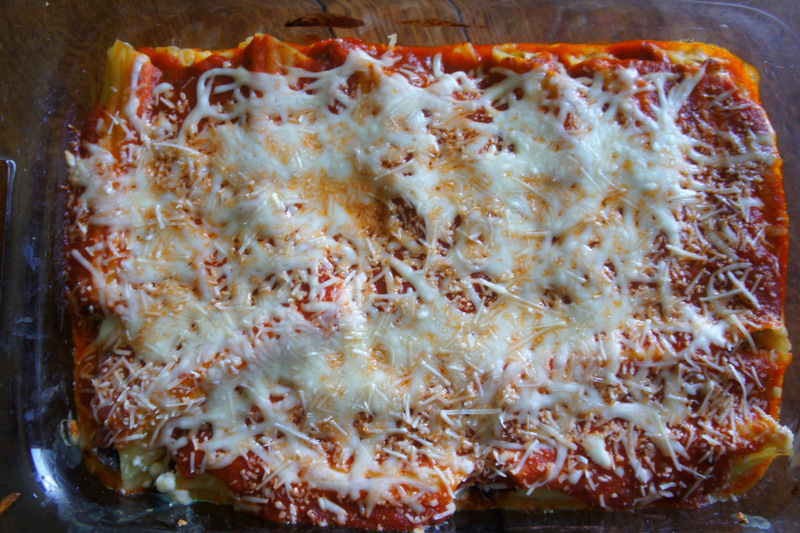 Once all manicotti are filled, top with remaining sauce and cheese. Cover casserole dish with foil. 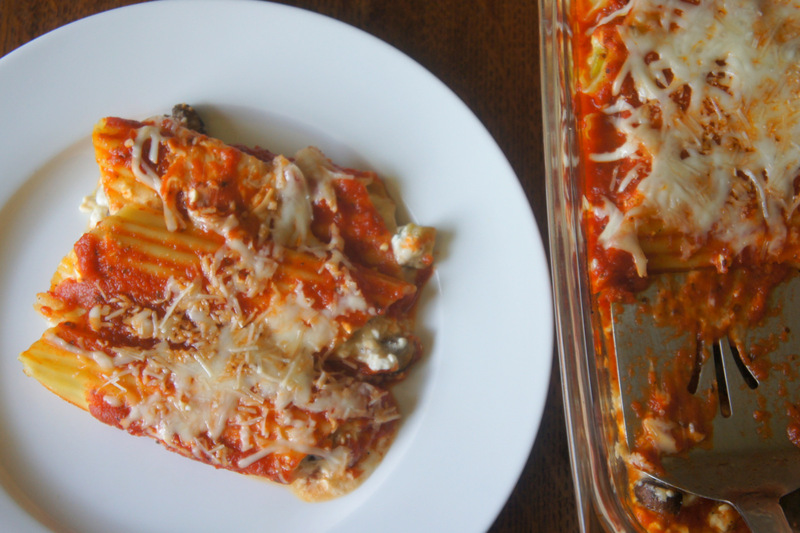 Bake manicotti at 350 degrees for 30 minutes, then remove foil and bake 10 minutes more.